Ecohotel is a Santa Marta ecolodge that sits peacefully by the quiet shores of Buritaca.This Santa Marta hotel is the best choice for travellers looking for a peaceful getaway in one of Colombia's most pristine beaches and experience the best of Colombian culture and hospitality. The hotel itself was born from a dream. Ecohotel's hosts Andrea, Camila and Edgar travelled all over Columbia to find the perfect location where they could settle down and build a home in the countryside. 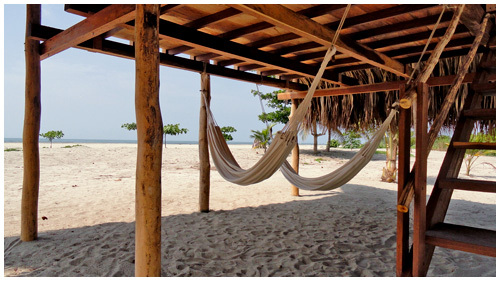 The amazing green landscapes and beaches of Santa Marta made it the perfect destination to build Ecohotel. 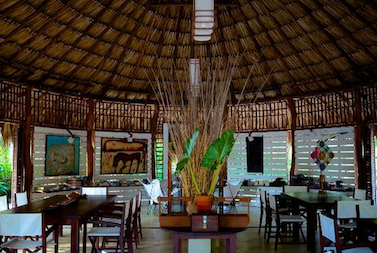 Ecohotel is an ecohab in Santa Marta that offers sophisticated ecolodges with modern interiors built with natural materials like stone, wood, and palm. It is perfect for travellers looking for accommodation in Santa Marta that is all-natural and careful not to harm its surroundings through its operations.Ecohotel also has its own restaurant where they can whip up your favourite dishes using the finest and freshest ingredients. Vegetarian and vegan dishes are also readily available. 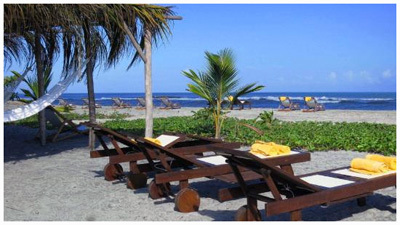 Its location in Buritaca makes it an ideal starting point to explore the rest of Santa Marta. Take a long walk on the beach, go for a relaxing swim in the crystal clear waters, or book an ecotour in Tayrona National Park. We can also arrange tours to nearby destinations such as Santa Marta city, Tayrona National Park, Baranquilla, Cartagena or Riohacha. You will never run out of activities during your stay in Santa Marta. 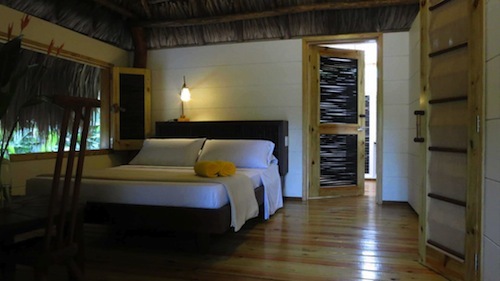 Buritaca is 45 minutes from the city of Santa Marta and 1 hour from the airport. Transportation to Ecohotel from the airport can be arranged at the best price so that you can travel comfortably and economically. Check in time: 3:00 p.m to 7:00 p.m. / Check out time: 1:00 p.m. Cancellations 20 days before check-in will be charged 10% of the total booking. Cancellations 15 days before check-in 30% of the total stay will be charged. 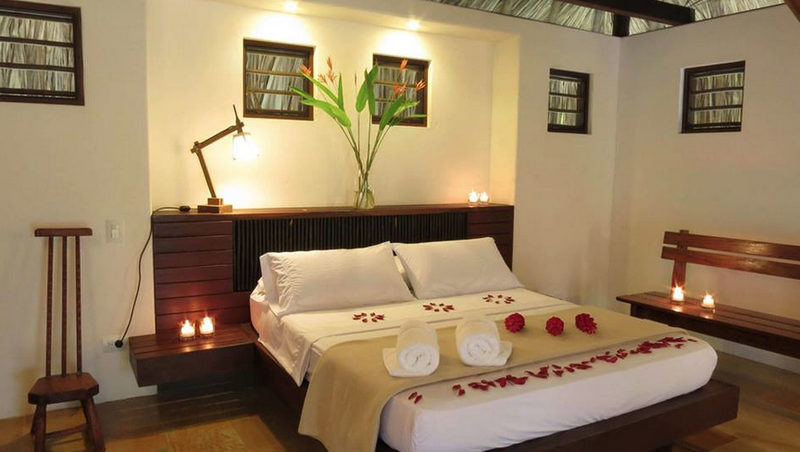 Cancellations between 14 and 8 days before check-in 50% of the total stay will be charged. Cancellations between 7 and 1 day before check-in 100% of the total stay will be charged. In case of no show 100% of the stay will be charged. Early departure 100% of stay will be charged. In case of cancellation with no penalty will generate a value of 10% for administrative expenses. Registration will not be allowed to minors not accompanied by their parents, in any case avoiding situations that may place them in vulnerable situations, in accordance with the provisions of Law 679 of 2001 of the Republic of Colombia. The dining service is until 9:00 p.m. It is not allowed to listen to music at high volumes.